"The intimate courtyard was transformed into an entertainer’s dream, with a seamless transition from interior and exterior. The enclosure was made larger by using the textured version of the home’s tile for the decking around the pool, which is the main feature of the courtyard. The coloring of the pool tricks the eye to see a shallow reflecting pool that uses jets on each corner to add movement to the water. The collection of stone spheres paired with the sculptural concrete walls give reference to the MCM aesthetic that Al Beadle first ordained when the townhome was built in the 1960s. Walls are notched to allow light to pass through as the day progresses and function to screen pool equipment, utility boxes and trash cans. A clipped hedge and two tall Ironwood trees add shade and proportion to the two-story townhome. 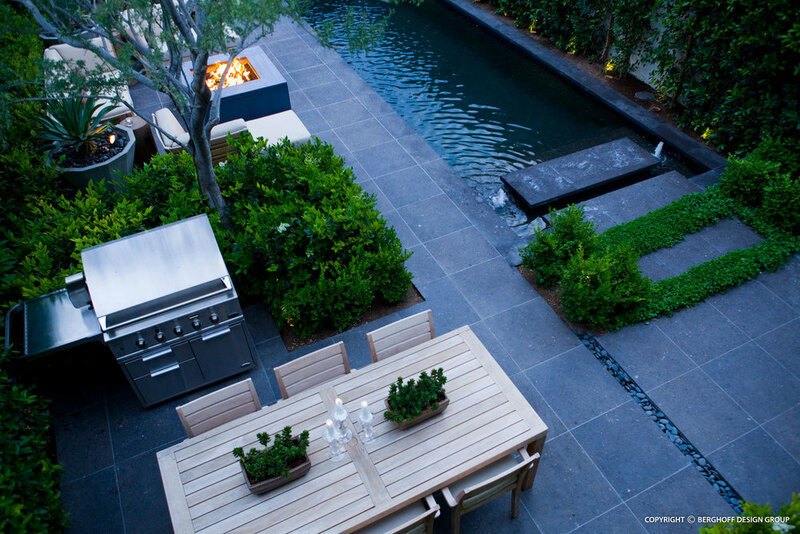 The trees also add privacy from neighboring courtyards. 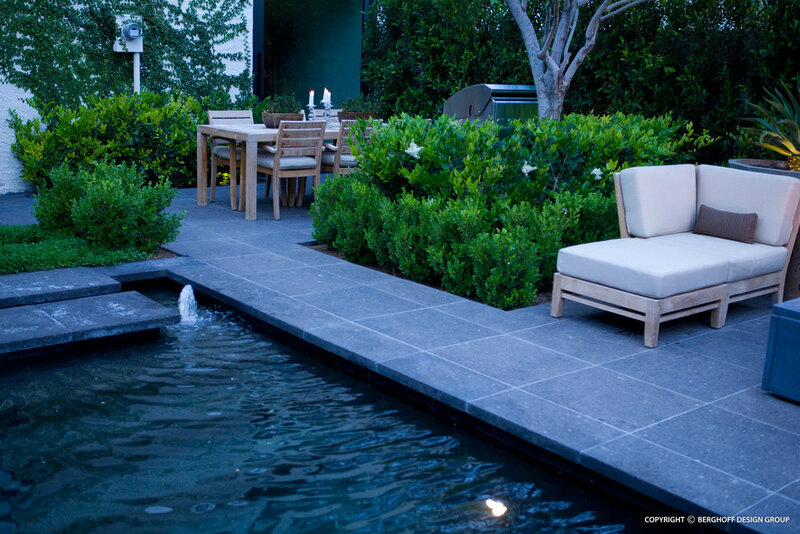 Dichondra softens the three steps that sequence from the patio into the pool."